The Inferior Vena Cava (IVC) is the largest vein in the body. The main function of the vein is to transport deoxygenated blood to the right side of the heart. An IVC filter is a cone like device that is placed in the Vena Cana to prevent blood clots from reaching the lungs and the heart. The device provides patients who cannot use blood thinners like Pardaxa and Warfarin with an anti-clogging option. 2010 FDA issues statement over concern of IVC filters not being removed after patients have completed treatment. They also release a statement regarding the 921 IVC reports that were received. Of all the cases analyzed in the study, 328 of the reports involved IVC filter migration. There were 146 reports stating that parts of the Filter detached, 70 reported that there was perforation to the Inferior Vena Cava, and 56 of the reports had to do with the IVC becoming fractured but not fully breaking. 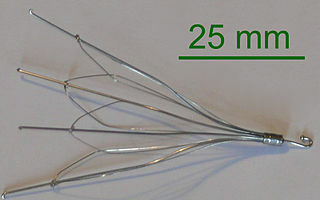 2012 The number of IVC filters implanted into patients reached more than 259,000 the market was projected to reach more than 435 million in sales by 2015. 2014 FDA releases a warning to manufacturers addressing complications with having IVC filters in for a prolonged period of time. They suggest that filters should be removed 29-54 days after the patients Pulmonary Embolism goes down. ​2015: NBC released an investigation on Bard Pharmaceutical’s Revision and G2 Series IVC filters. The investigation revealed that Bard withheld a confidential study that they commissioned. The study was conducted by doctor John Lehmann and was known as the Lehmann Report. The report showed the risks that were associated with the Bard Recover Filter. Use of the filter resulted in more death, filter migration, and filter fracture than all other competing filters. The NBC investigation revealed that Bard continued to sell the Recovery filter until it was replaced by the G2 series 3 years later despite the information that was reveled in the Lehmann report. Later research revealed that the G2 series had similar effects as the Recovery filter. If allowed in court, the Lehman Report will be a significant piece of evidence supporting claims of the company’s negligence. Due to the large number of similar claims made against manufactures of IVC filters nationally, the courts have decided to centralize the cases by consolidating a Multidistrict Lawsuit. Claims against Cookman Medical filters will take place in a courtroom in Indiana while claims against Bard Pharmaceuticals will take place in Arizona. 2016: Bellwether trials are scheduled to begin in September. In a follow up of a 2 trial that was published in the Circulation Science Journal researcher found that patients with proximal Deep Vein Thrombosis (bleeding in the veins) who used IVC filters were able to decrease their risks of Pulmonary Embolism (blockage in a lung or arteries) and increase the risks of DVT. An 8 year follow up of the study showed the same results and that IVC filters had no effect on the survival of the patients in the sample size. Researchers of the 8 year follow up study found that the found that IVC filters were “beneficial for people who are at risk of Pulmonary Embolism are not recommended use by the general population with Venous Thromboembolism. In another study of 952 patients that was published in the Journal of The Medical Association researchers found that IVC filters for Venous Thromboembolism Treatment (VTE) and Prophylaxis (health preservation and diseases prevention) combined with low retrieval rate and inconsistent use of anticoagulant therapy, results in complications like mechanical filter failure and high rates of (VTE). If you or a loved one has suffered from any of the injuries or medical conditions mentioned above after receiving an IVC filter implant, it may be in your best interests to consult with an experienced law firm who is actively representing innocent victims who have been injured by these devices. We are currently investigating and preparing multiple IVC filter claims for a possible lawsuit and will review your case for free to see if you may be eligible for financial compensation. Call the top-rated personal injury lawyers at Davis Law Group at (206)727-4000 to learn about your legal options and schedule a free and confidential consultation. Our experienced award winning attorneys have handled a variety of defective medical device claims and can get you the compensation that you deserve.